Andy Gibb was an English singer and teen idol, and the youngest brother of the family whose other male siblings formed the Bee Gees: Barry, Robin, and Maurice Gibb. 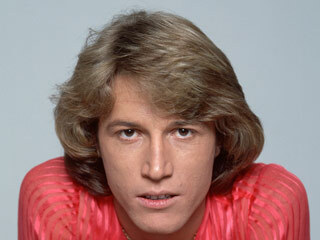 In March 1988, Andy Gibb celebrated his 30th birthday in London while working on a new album. Soon after, he entered John Radcliffe Hospital in Oxford, complaining of chest pains. He died on 10 March 1988 just five days after his 30th birthday as a result of myocarditis, (an inflammation of the heart muscle) caused by a recent viral infection.